Home » Odds & Sods » Ultimate ‘house robot’, BBC2, triumphs over Sir Killalot and Matilda by axing ‘Robot Wars’. 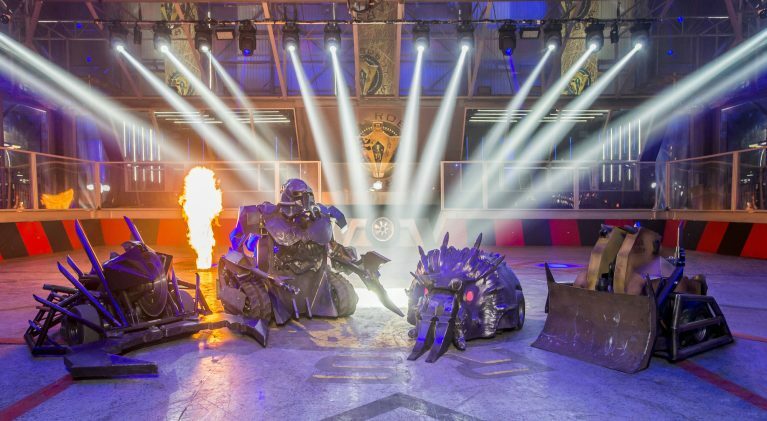 Robot Wars, one of the greatest ‘guilty pleasure’ shows of all-time, has been axed by BBC2 after three series. I absolutely loved this show when it was originally broadcast with Craig Charles (Red Dwarf, Coronation Street) and Phillipa Forrester! Thankfully, I never saw the first series with former Top Gear host, Jeremy Clarkson, as the original presenter. No matter who the presenter, however, any series that featured the likes of Sir Killalot, Matilda, Dead Metal, Shunt and Sgt. Bash couldn’t have been all bad, right? The original format for Robot Wars featured two teams of amateur enthusiasts who built their own robots, a.k.a. robotic fighting battle machines, and then marched them into a battle for supremacy all the while keeping an eye out for the ‘house robots’. The 21st century rebooted Robot Wars was filmed in a ‘bullet-proof’ purpose-built arena in Glasgow, where the audience was brought ever so close to the destructive machines using state-of-the-art cameras capable of capturing every crushing, sawing and scorching moment in incredible detail. It was clear from the outset that ‘size did matter‘ when it came to the new-look house robots. 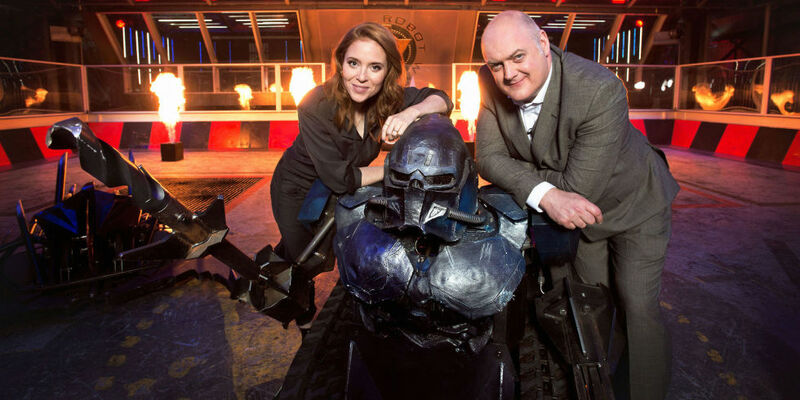 Hosts Dara O’Briain and Angela Scanlon brilliantly held court for another go in the purpose-built Glasgow arena where they met weekly with the best of Britain’s engineering enthusiasts as they battered and bashed their way through various mechanical foes. Guilty pleasure or not, Robot Wars encouraged STEM involvement and was the starting point for many an engineer of the future. 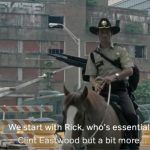 When the series returned in 2016, I wasn’t completely sold on the necessity for a ‘bullet-proof’ arena, but a lot has changed since the old days of destroying your competitor by simply flipping them over, setting fire to them and then shoving them into the Pit of Oblivion so I guess we’ll just have to not let progress stand in the way of my ultimate guilty pleasure. 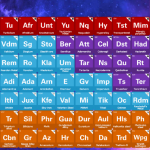 QI – what say you? Polls are open!